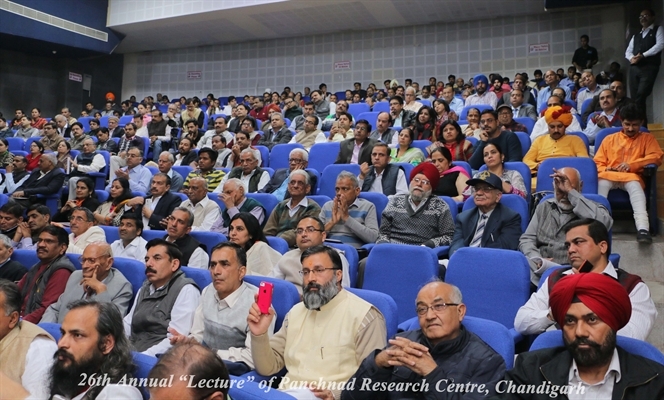 An honest and tireless pursuit of truth in all its manifestations and all fields of social and national life has been the most valued cultural tradition of India since times immemorial. Questioning incisively and thoroughly every postulate, creed or idea before accepting and adopting it has been the main attribute of our intellectual ethos. It was no fewer than 108 questions of an inquisitive, eager and doubting Arjuna to Lord Krishna that gifted the humanity with Gita, the greatest book of knowledge. A vast galaxy of great thinkers like Gautam and Gargi, Vishwamitra and Vasishtha, Kanva and Kapila, Yagyavalkya and Patanjali, Mahavir and Buddha, Shankar and Ramanuja, Nanak, Kabir, Dadu, Dayanand, Raman, Ramkrishna and Ram Tirtha, carried forward this great tradition and gave India her distinctive identity, and innate sense of civilizational oneness and pride of nationhood. 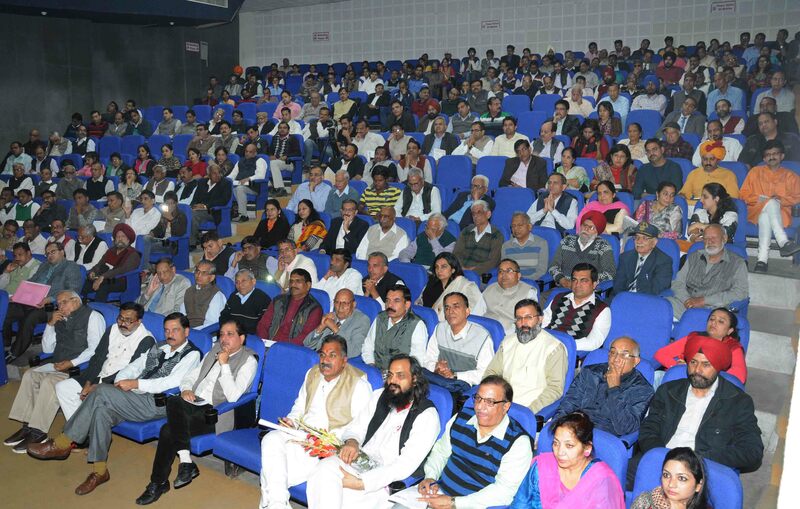 Intellectuals play a vital role in leading the country to progress and glory in all vibrant societies. 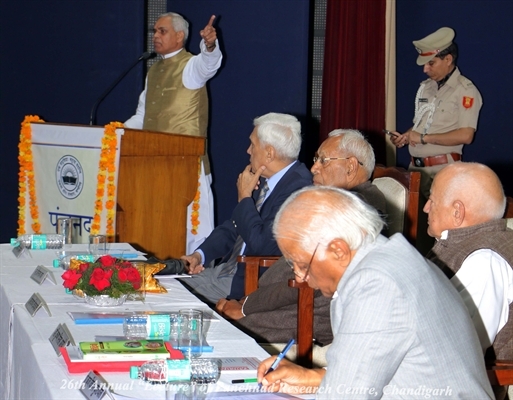 They are not only the harbingers of new thoughts but also help integrate the best in a nation’s heritage with modern needs and find apt solutions to contemporary problems.Unfortunately, for quite some time now, our creative intellect has not only become moribund but also lost its direction. Our intelligentsia is ever willing to accept alien ideas and solutions without demur. Many have made it a habit to scoff at any thing Bhartiya – values, heritage, way of life and even products. Meanwhile sociological, economic and systemic problems threaten to disrupt our national integrity and social fabric. It is imperative to find proper solutions to these problems at the intellectual level – solutions that are in consonance with the country’s genius and needs. The intelligentsia can prepare and galvanize the people to face tendencies and forces that threaten our national unity, territorial integrity and social harmony. It can throw up ideas to fight undesirable foreign influences and onslaughts being made in the economic, political and cultural fields in the name of globalization and universalism. 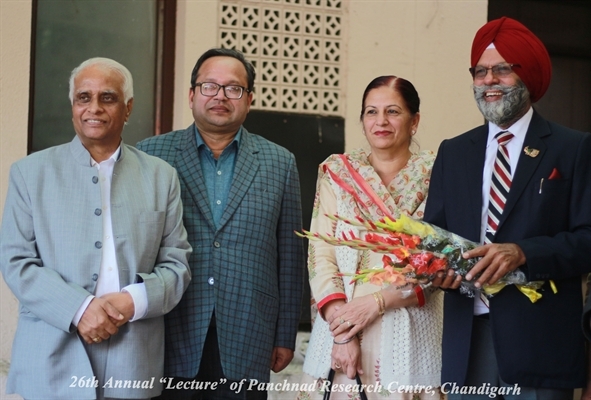 It was against this backdrop that a select group of enlightened intellectuals and professionals from Punjab, Haryana, Himachal, Chandigarh and Delhi held deliberations in several meetings during the year 1983. 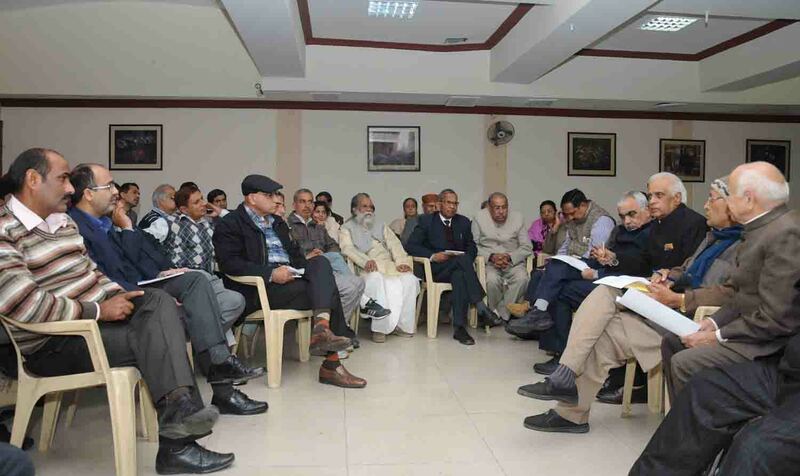 The group discussed at length the desirability of setting up a platform for a constructive dialogue among various sections of the society. 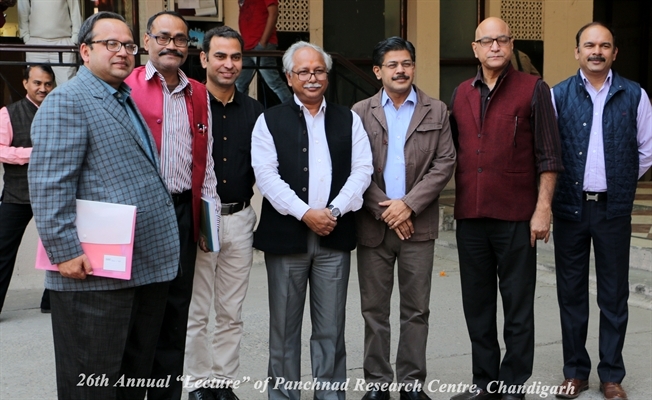 A consensus emerged on the aims, objects and the methodology of the proposed organization that led to the formation of Panchnad Research Institute as a non-profit non-government body dedicated to the service of the motherland. 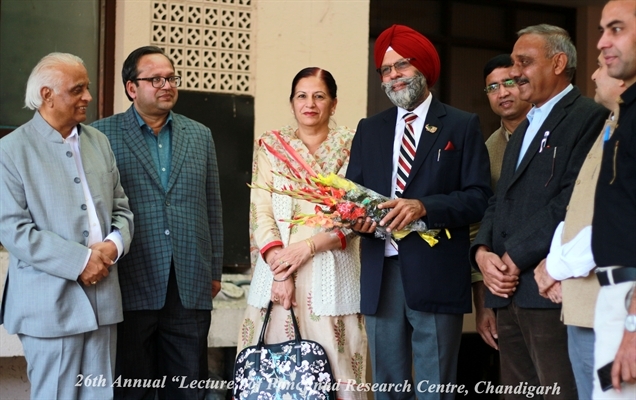 It is registered with the Registrar of Societies, Chandigarh. Justice T.U. 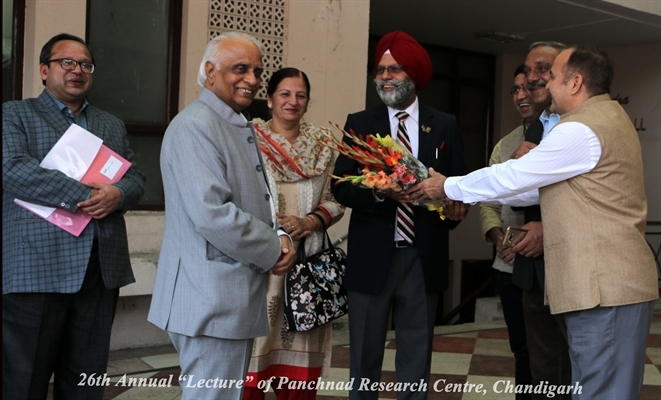 Mehta, a former Chief Justice of the Himachal High Court and Shri Shyam Khosla, a senior journalist, were elected its first Chairman and Director respectively. 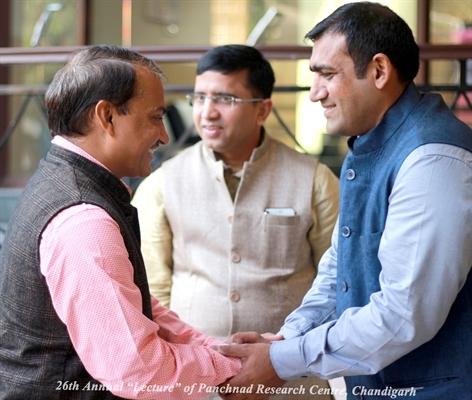 Panchnad has since emerged as a leading forum in the North-West region comprising Delhi, Haryana, Punjab, J&K, Himachal and Chandigarh for free exchange of views and ideas of all hues and persuasions. 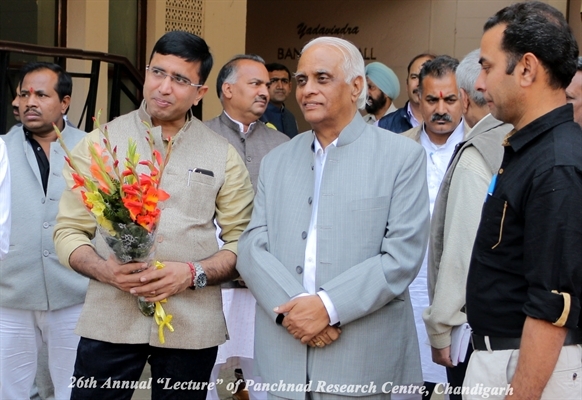 Panchnad Research Institute believes in the ideal: Aa no bhadra kratavo yantu vishvatah (Let noble thoughts come to us from all sides). It subscribes to the maxim: Ekam sadvipra bahudha vadanti (Truth is one; the wise tell it in different ways). 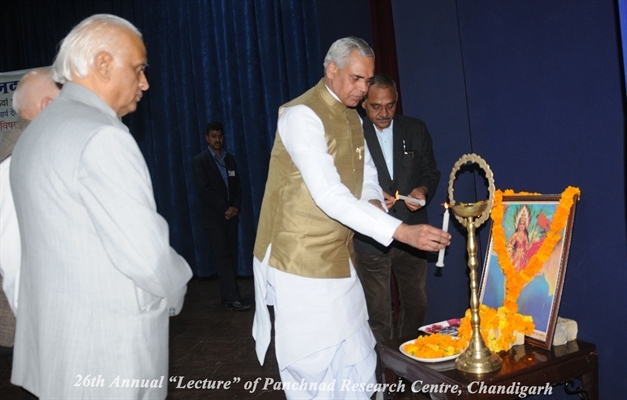 The method and the spirit of discourse and debate are of paramount importance to the Institute. Shankaracharya characterized the techniques of discussion as Jalpa, Vitandaa and Vaada. In Jalpa, the attempt is to smother opposition by vehement criticism and rejoinders with overbearing arrogance in assertion; and in Vitandaa the aim is to simply destroy the edifice of opponent’s arguments even by foul means and methods. 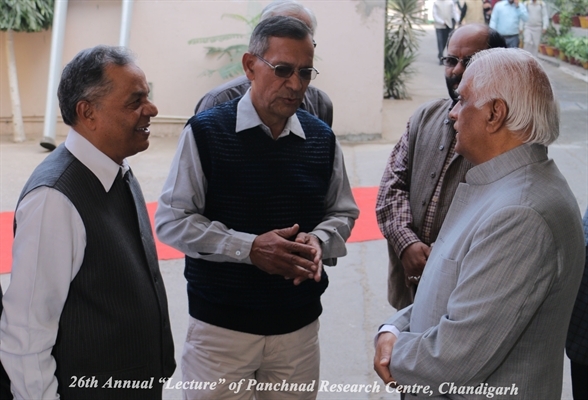 Panchnad provides a forum for Vaad for all, irrespective of the nature of their views. The path to ultimate truth can be traversed in various ways. Says the Gita: Mam vartmnuvartante manushyah parth sarvshah (My path do men tread in many ways). 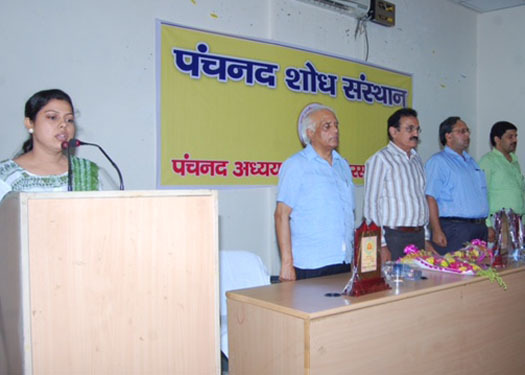 The Institute has been inviting to its multifarious activities people holding all kinds of views and beliefs to express and discuss them in this noble spirit.